Gateshead Harriers & AC are proud to announce the Quayside 5k Road Race event on Wed 14th August 2019. 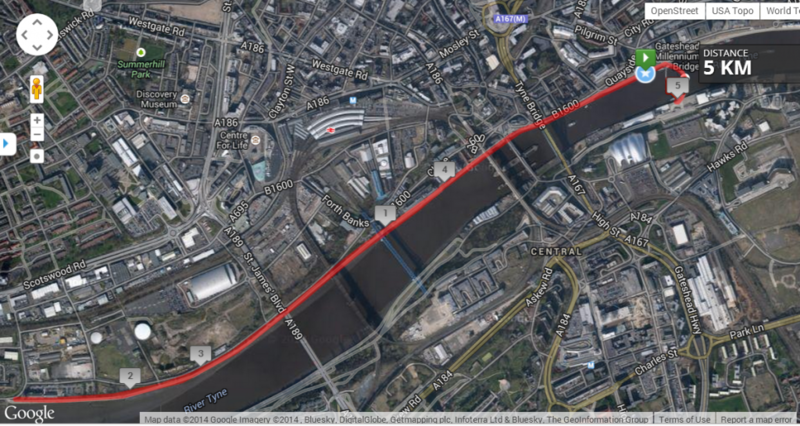 The race route is out and back on a very flat and fast course along the River Tyne from the Newcastle side of the Millennium Bridge to Newcastle Business Park, under the famous Tyne Bridge and returning to cross the iconic Gateshead Millennium Bridge to finish in Baltic Square. This year’s event will be bigger and better….with even more PBs and big prize money incentives. There will be a Junior Quayside Run over approxiamately 3km added to the program this year along with the 2 5k races split by a sub-20min entry standard for the A-Race. A-Race (Sub 20min Entry Standard) – Based on 2018/19 SB and realistic target time of sub 20mins. Mass PB Race – Featuring ‘Pacers for PB Chasers’ and a great atmosphere with tons of support for runners of all abilities. Top 3 M/W in this race will be awarded Free Entry to 2020 Event. Free Entry to the 2020 event to winners of each age category U20/V35/40/45/50/55/60/65/70+ based on Chip Time from the combined race results . 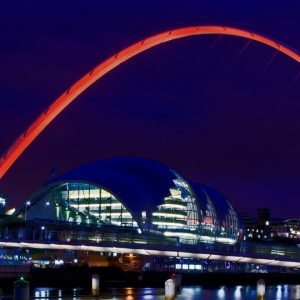 The race will be used as the Gateshead Harriers & AC Club Road Championship and will be used as part of the selection process for the Northern 6-Stage Road Relays Championships with the first male and female Gateshead Harriers being awarded ‘The David Mount Cup‘ – named after our former Chairman. The event will be Chip Timed with Live Results provided by our partners RaceTimers.co.uk. Entrants must be age 11 or over on the 14/08/2019 for the Junior Quayside Run and age 16 or over on the 14/08/2019 for the Quayside 5k races. Event Information Subject To Change. STRICTY NO REFUNDS, TRANSFERS OR DEFERRED ENTRIES AFTER 1st AUGUST 2019. Please respect this as administration of this is not managemable in the event build up. The organisers hold the rights to amend/cancel any event at late notice. This includes any aspect of the event such as race time, date, venue, fees or prizes. In the event of a cancellation that is beyond the control of the organisers, such as adverse weather conditions, attempts will be made to reschedule the event and entries will be automatically transferred. Where an event can not be rescheduled committed contractors will be paid and remaining funds will be offered as partial refunds or donated to charity. Where an event is not fully cancelled or rescheduled and the participant chooses not to race, they will not be entitled to a refund.